When a slip and fall accident that results in injuries happens on someone else’s property, you may have grounds for a civil lawsuit. To substantiate your case, there are a few steps you should take even before you contact a personal injury lawyer in Riverside. Provide copies of all of the evidence you gather to your lawyer. He or she will use this evidence to seek compensation on your behalf for your medical bills and physical pain. If you fall in a store, restaurant, library, or other public place, call attention to the incident immediately. Depending on where you have fallen, the property owner or manager may have established guidelines for reporting accidents. You might be asked to fill out some paperwork. If you do file a written report, ask for a copy for your records. 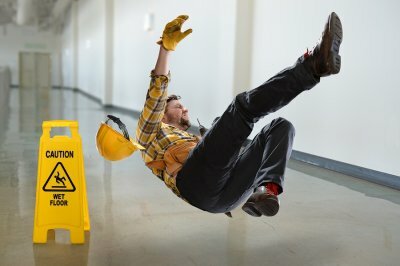 A successful slip and fall lawsuit requires demonstrating that a hazardous condition existed that caused you to slip or trip. If possible, document the hazardous condition right away because the property manager may correct the hazard promptly after your fall. Take photos of damaged handrails or steps, uneven flooring, spilled liquids, or other hazards that caused you to fall. If you don’t have a cellphone or camera with you, write down a precise description of the area and the hazardous condition. Witness statements can play a significant role in a slip and fall lawsuit. If anyone witnessed the accident, ask them to write down their names and contact information. Your personal injury lawyer can question them later. If you have severe injuries like a broken bone or a possible concussion, don’t try to drive yourself to the hospital. Call 911 instead. Even if your injuries appear to be relatively minor, you should still seek medical care because you might have internal injuries. Additionally, your medical records will substantiate your case. Retain all of your medical bills and receipts, pharmacy co-pay receipts, discharge sheets, written instructions from doctors, and all other documentation pertaining to your health status. These documents will prove the extent of your losses. 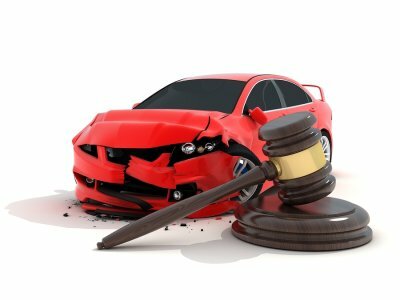 What Are Your Rights as a Passenger in an Auto Accident? When the driver of a vehicle files a car accident lawsuit, one of the obstacles he or she may encounter is countering allegations that he or she was partially responsible for the crash. Injured passengers do not generally have this problem. However, because of the complexities of personal injury law and the uncooperativeness that is typical of car insurance carriers, it’s best for passengers to consult a car accident lawyer in Riverside. After any type of accident, you have the legal right to speak with an accident lawyer about the situation. One of the first steps in an accident case is to assess liability, which refers to which party was at fault for the crash. Since you were the passenger, it is highly unlikely that you could be considered liable unless you grabbed the steering wheel or engaged in any similar unsafe act. If it was a one-car accident, then the driver is almost certainly at fault. Exceptions include situations beyond the driver’s control, such as if a deer jumps out in front of the car. If the accident involved multiple vehicles, the case becomes a little more complex. 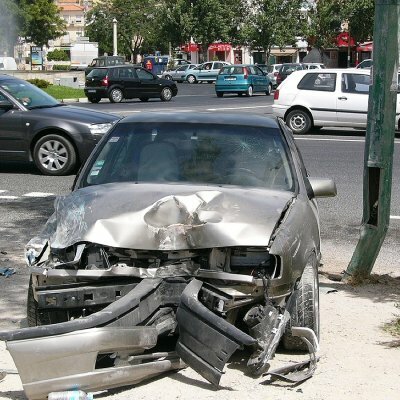 Your car accident lawyer may consider whether both drivers shared liability for the accident. To accurately determine liability, your lawyer will need to review the evidence, such as the police report, photos of the scene, and witness statements. A car accident lawsuit isn’t necessary in all cases. Your lawyer may use evidence of liability to negotiate with one or both drivers’ insurance carriers with the goal of securing just compensation for your losses. If a reasonable settlement is not forthcoming, then you may wish to move forward with a lawsuit. If more than one driver might be at fault, it is possible to file a lawsuit against multiple defendants. One of the issues the jury will consider is whether both drivers were equally at fault for the crash or if one was more negligent than the other. If they are found equally at fault, then the insurers for the drivers will be ordered to pay an equal amount. If one driver was found to be more negligent, then percentages of fault are assigned to each driver and the monetary award is paid accordingly. Criminal and civil law are quite different. If you’re involved in an accident or similar situation, you can turn to a personal injury lawyer in Riverside to handle your civil law case. On the other hand, if criminal charges are brought against you, you would require the services of a criminal defense lawyer. There are many other differences between these areas of the law, which you can learn about by watching this featured video and consulting your personal injury lawyer. This professional explains that criminal cases like burglary charges and civil cases like slip and fall accidents proceed in different court systems. However, it is possible for one incident to cause separate cases to proceed in both courts. For example, O.J. Simpson was infamously found not guilty of murder in a criminal court, but he was found liable for wrongful death in a civil court. The outcome of one case is not binding on the other. In fact, your personal injury lawyer has a lower standard of evidence to meet than a criminal lawyer would. In the wake of a car accident, many people simply want to put the problem behind them as quickly as possible. It’s often assumed that hiring a car accident lawyer in Riverside may be more of a hassle than it’s worth. But actually, working with a car accident lawyer instead of relying solely on insurance is the most effective way to move forward from a crash. Your car accident attorney will handle the legal details and help you get the maximum compensation you’re entitled to receive. Since car accident lawyers have extensive experience handling these cases, they generally have a good idea of how much a particular claim is worth. Your lawyer will immediately be able to tell if the insurance company is offering you less than what you deserve. Remember that auto insurance is a business like any other; the insurance carrier is more interested in turning a profit than paying you a just settlement.